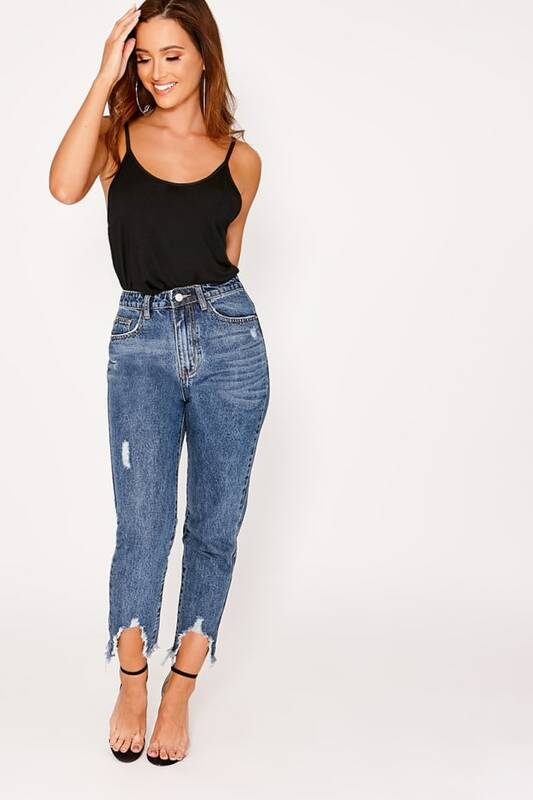 Give your denim drawer a contemporary edge with these cool mid wash jeans. 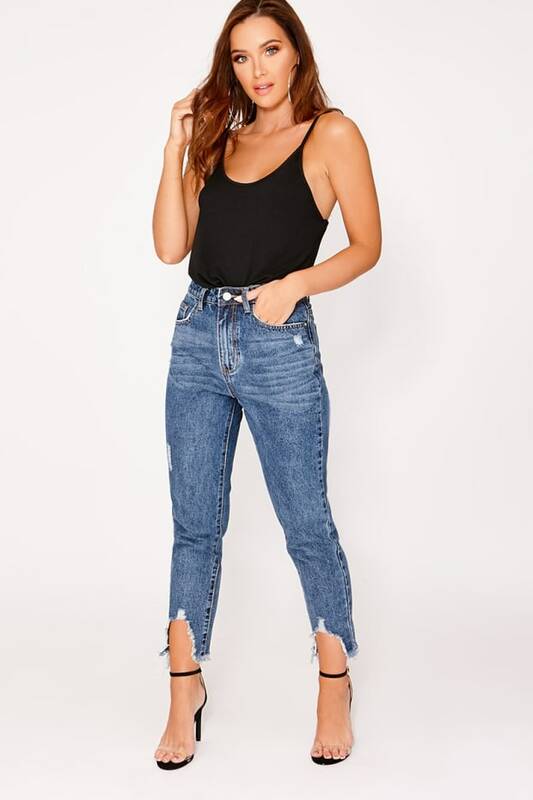 In a flattering mom fit featuring a high waisted fit and distressed detail, these jeans are guaranteed to make a statement! Style with a bodysuit and strappy heels for killer weekend vibes!